As far as forbidden fruit goes, Volkswagen produces more than its fair share. But some of them don't even wear the VW badge. Take the Škoda Octavia RS. It's available with either a gasoline-burning turbo four or a potent diesel, with a six-speed manual or a DSG, and either in liftgate sedan/hatch or wagon variants. If given the opportunity, we have to admit it'd be pretty high on our shortlist, but now the Czech automaker is making it even more enticing with the launch of an all-wheel drive version. 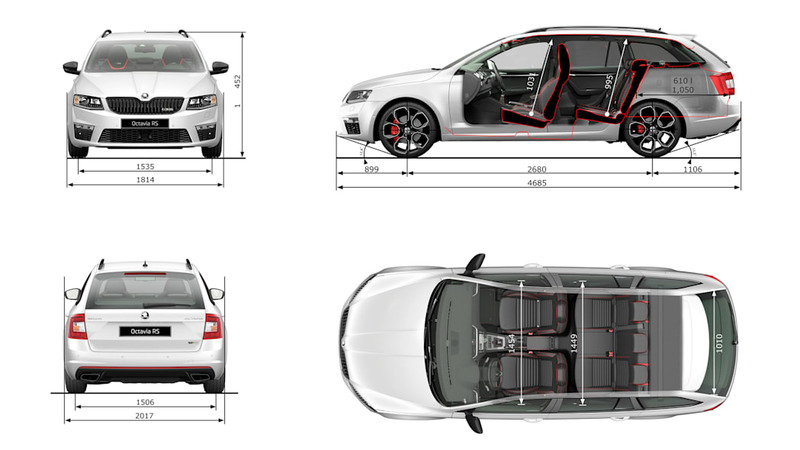 The latest addition to the Octavia RS line channels its power to all four wheels instead of just the front. And it's available in either bodystyle. Some purists might be disappointed that it's only available, however, with the diesel (not the potent new 230-horsepower gasoline engine) and only with the automatic dual-clutch transmission (and not the manual). Still with 181 horsepower and 280 pound-feet of torque driven to all four corners through the fast-swapping cog box, it'll run up to 62 miles per hour in 7.6 seconds, and top out at over 141 mph. All in a sleeper that could, at first glance, be mistaken for a European taxi cab. You'll forgive us if, given recent developments, we don't take the fuel economy figures at face value. But those European buyers looking for a versatile performance diesel will likely need to look no further than the new Octavia RS 4x4. Now if we could only get our hands on one. 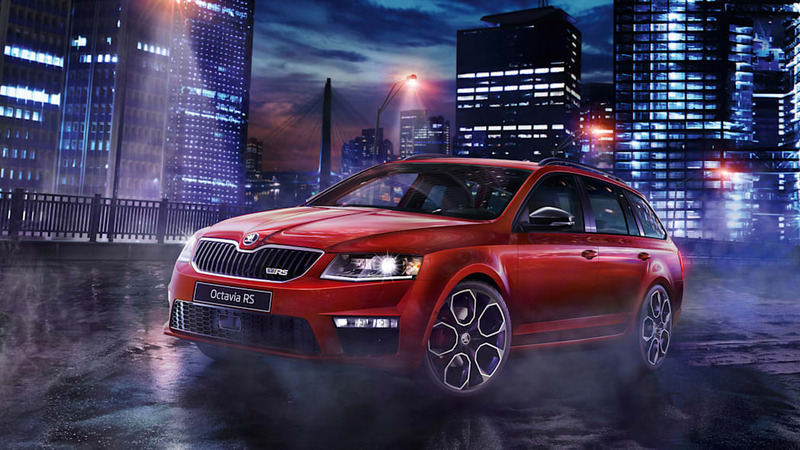 ​Mladá Boleslav, 24 September 2015 – Shortly after introducing the new special edition Octavia RS 230, ŠKODA releases the next big name in their Octavia RS series: the powerful sports compact is now available with all-wheel drive. 4×4 drive for the Octavia RS diesel 2.0 TDI/135 kW (184 hp) in combination with six-speed DSG is available on the first markets as of now. This combination of all-wheel drive and sports performance turn the ŠKODA Octavia RS hatch and estate into an impressive performance package. 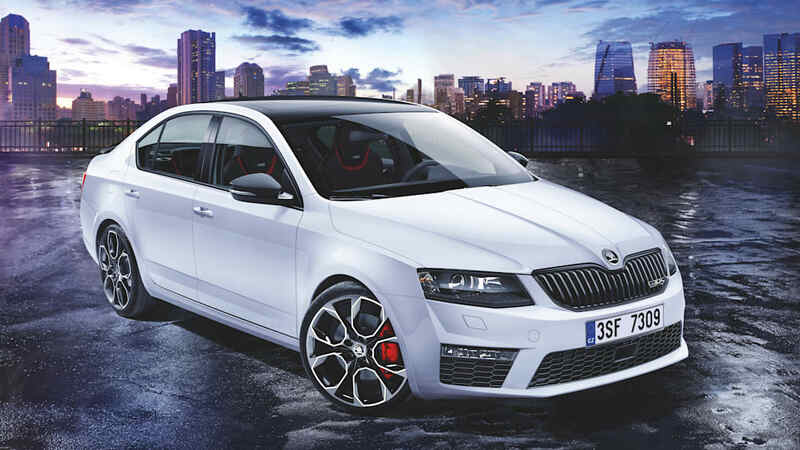 The third-generation Octavia RS released in 2013 is a genuine success story, with more than 58,000 sold to date. ​"Our first all-wheel drive ŠKODA Octavia RS expands our RS range with another highly attractive version, highlighting our expertise in 4x4 technology," says Werner Eichhorn, ŠKODA Board Member for Sales and Marketing. 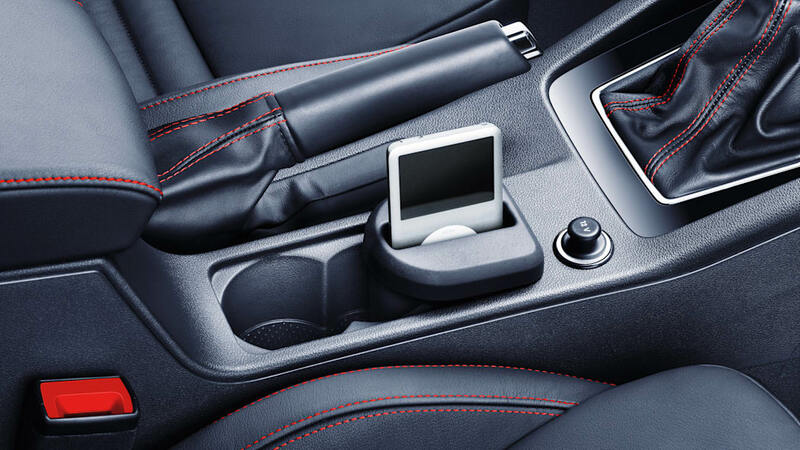 "The Octavia RS has been very well received, and sales have exceeded our expectations. This 4×4 version will continue to drive the success of the model series." The third-generation ŠKODA Octavia RS launched in 2013 has been very popular on the international markets with more than 58,000 units produced to date. The ŠKODA Octavia RS, available as both a hatch and estate, is a sporty yet extremely practical car. At the same time, the top model in the Octavia series represents 114 years of successful motorsport history for the brand. The first-generation Octavia RS, released in the year 2000, was the first ŠKODA for end customers to enter the market as a sporty RS model. Between 2000 and the end of August 2015, ŠKODA had delivered around 165,000 first to third-generation Octavia RS to customers. In combination with all-wheel drive, the ŠKODA Octavia RS is the perfect car for everyday and leisure use, and a real all-rounder in virtually any driving situation. The model's power, technology and utility are impressive, and acceleration is excellent. 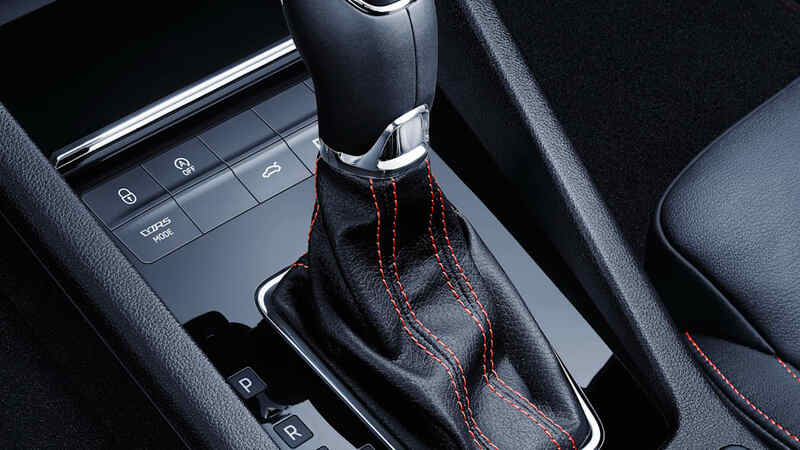 The attractive combination of automatic dual clutch transmission (DSG) and all-wheel drive accelerates the Octavia RS TDI/135 kW from 0 to 100 km/h in just 7.6 seconds, reaching a top speed of 228 km/h. The maximum torque of 380 Nm is 1750-3250 rpm. The combined fuel consumption is 4.9 l/100 km. This corresponds to CO2 emissions of 129 g/km. The modern all-wheel drive results in excellent handling and impressive traction performance even on rough terrain. The power is distributed over the four wheels depending on the specific driving situation when the 4×4 technology is active. The wheels will not spin on the sport even when pulling away or accelerating rapidly. Besides feeling impressive on the road, this also leads to a high level of active safety. 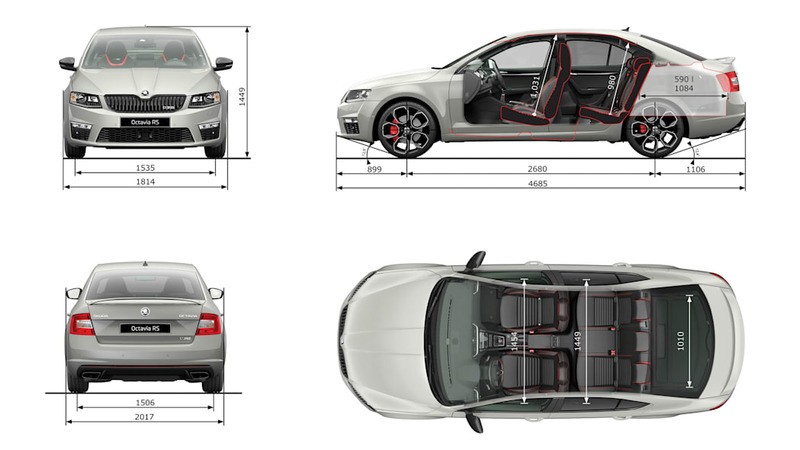 In addition, the ŠKODA Octavia RS 4×4 features the best aspects of the front-wheel drive Octavia RS. 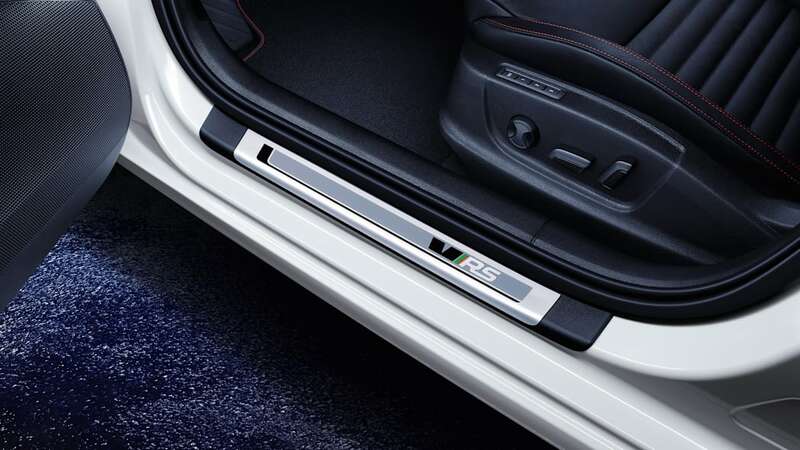 The technological highlights include sports suspension with multi-link suspension and electronic differential lock XDS+ for dynamic cornering, innovative progressive steering and numerous assistance systems for enhanced safety and comfort. The model's powerful appearance is accentuated with sporty design elements, distinctive alloy wheels, a bold engine noise for that sports feeling and a sporty interior. 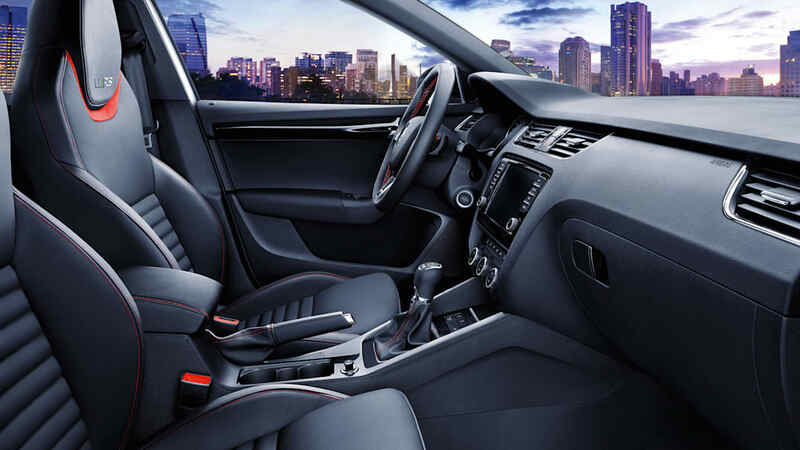 In addition, all Octavia RS models offer the great features of the ŠKODA Octavia: maximum functionality and space at the fair value for money. The RS designation represents ŠKODA successes in motorsport, as well as the power and the passion of the brand. 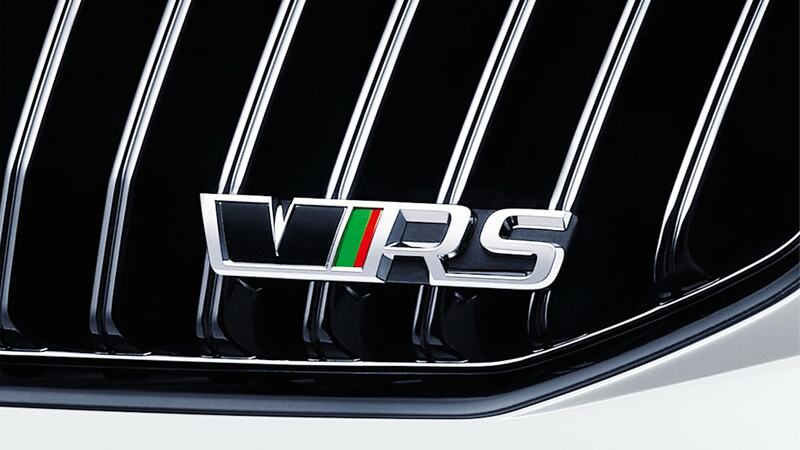 First used as a ŠKODA model designation in 1974, the RS symbol appeared on the racing cars ŠKODA 180 RS and ŠKODA 200 RS as the 'Ur-RS'. In the 1970s and 80s, the legendary ŠKODA 130 RS was one of the most successful racing cars of its time. 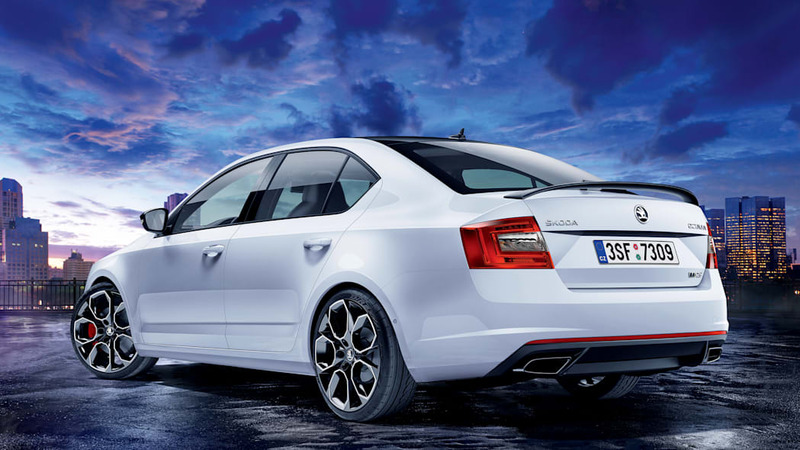 The Octavia RS 4×4 is yet another demonstration of ŠKODA's expertise in all-wheel drive technology. The car manufacture's 4×4 range now comprises nine models: ŠKODA Octavia 4×4, ŠKODA Octavia Combi 4×4, ŠKODA Octavia RS 4×4, ŠKODA Octavia Combi RS 4×4, ŠKODA Octavia Scout, ŠKODA Yeti 4×4, ŠKODA Yeti Outdoor 4×4, ŠKODA Superb 4×4 und ŠKODA Superb Combi 4×4. The ŠKODA Octavia RS 4x4 is also a demonstration of the third-generation Octavia's versatility. ŠKODA now offers 15 versions of their number-one bestseller: from the eco-friendly ŠKODA Octavia GreenLine up to the Octavia RS 230 – the fastest ŠKODA Octavia of all time.